In a tough road contest at Marshall the Trojans outscored the Redhawks 30-22 in the second half to secure a come from behind win by a final score of 48-43. 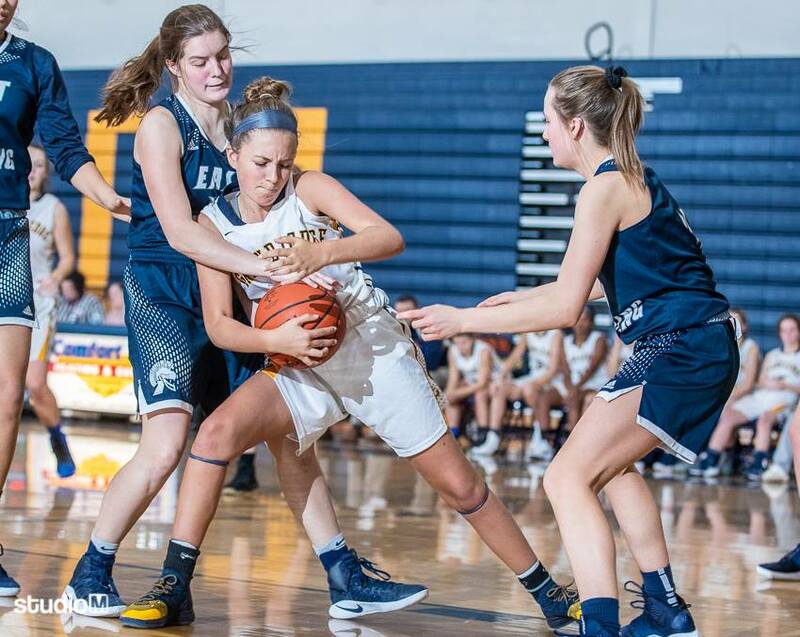 Leading the way for the JV girls were Payton Baker (21 points) and back-court teammate Gracie Emerson (15 points) who both played solid games on both defense and offense. EmmaRae Vanderbush finished with 6 points, all in the second half, including two important 4th quarter free throws. East Lansing improved to (6-6) overall, and remain (3-4) in the CAAC Blue Conference. The Trojans will go over to Okemos on Thursday (2/7) for a 7pm tip.